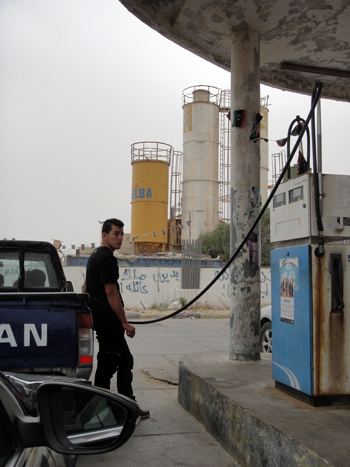 Quoting the International Monetary Fund, “Hydrocarbons have long dominated the Libyan economy, accounting for more than 70% of GDP, more than 95% of exports, and approximately 90% of government revenues.” Libya has traditionally been an oil economy. Looking into the future, what is going to be the role of oil and gas in the economy? In your opinion, are we still going to see these high numbers? Is diversification going to take place? We expect that in the new Libya there will be a major role for the private sector in developing Libya’s many resources. In this case, you would expect a lot of input into the economy by the private sector in services, small industries, tourism, commerce in general, and other natural resources; therefore, the percentages mentioned above would decrease. However, it is still expected that hydrocarbons will have a major role in the economy over the next few years. 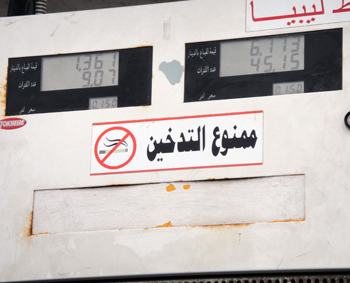 Libya started to export oil to Egypt on credit in order to stabilize their finances and help Egypt. Libya is starting to play a regional stabilization role. What in your opinion is Libya’s regional responsibility towards its neighboring countries? We really have not started but we are in discussions to finalize a contract. The whole idea is that wherever aid, or not as such, is needed, the buyer will be purchasing crude at international prices. The payment will be deferred for a year or so without interest and apart from this it will be a normal transaction. However, the quantities that we agreed upon are not going to affect our commitment to the Libyan budget as far as what is required from us to produce based on the price of oil and production levels. So this amount we are going to sell to Egypt is not going to affect our overall commitment to the treasury. But does it show that Libya is going to play a more substantial role? What we are actually discussing is about 30,000 barrels per day. This is not a particularly big amount but it helps. Cooperation with our neighbors is a must for regional stability and it works both ways. However, is it not true that Libya can be a stabilizing factor in the region, economically speaking? That is true. Outside of the oil sector, we would generally expect a lot of cooperation in trade and construction. This would of course have a big impact on the economies of the neighboring countries. But as far as the oil and fuels it will be the same. Can you share with us your investment plans downstream and upstream and how these investments are going to affect production levels? For the first time, we have been operating differently from the past. NOC has greater independence, unlike in the past under the old regime when the government would interfere with the industry and make dictates that are not conducive to a good business environment. This is all gone. We are talking to the IOCs as true partners and I think we will see more of that. There is great potential in the oil sector for the development of the Libyan industry. The downstream industry does not really meet the appropriate standards. We have two large refineries, actually hydro skimmers, that produce a high amount of heavy oil. There were attempts in the past to upgrade these refineries but that did not progress. Step one is to improve the performance of these refineries by cracking more of the heavy oil. We import more than 80% of our gasoline and therefore one of the things that we plan for is to supply the local market with needed fuels. Secondly, we use about 380,000 barrels per day for the refineries. The anticipated plan for the future is to export more refined products at the expense of crude oil. We would also expect, once we finish our studies, a very large input from private investors, be it international or national. Whatever refineries we eventually build in the future, the contribution to this by the government is anticipated to be very low in comparison to other investors. I would expect at least 800,000 barrels per day will go to refining and petrochemicals. What size of investment is this anticipated to require? We have a committee that is currently working on this. The committee is made up of NOC and the Ministries of Oil and Gas, the Economy, Electricity and Industry. I anticipate there will be an additional three big refineries added to the existing refineries. That is what we have right now on the drawing board. What are the latest developments in the upstream sector? We are currently not opened for bidding because we would like to prepare ourselves properly for the next round. We have a number of steps to complete first. 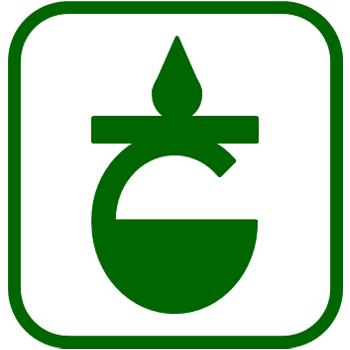 Step one is that the ministry is in the process of revising the petroleum law which was created in 1955. Step two is that we are reviewing our EPSA models; we are currently using EPSA 4 which has its plusses and minuses. The plan is to review and come up with a new model that encourages investment in Libya. We would like to have a win-win relationship with our partners and also encourage long-term investment, especially in regards to EOR which requires huge investments. We are working toward this goal and we project it will take at least six months to finish. At the same time, we are conducting technical studies in order to assess the limit of risks in each area. What is the outlook for the production of crude oil and gas in Libya? For oil production, we have technically exceeded 1.6 million barrels per day but in actuality we are averaging about 1.5 million because of some strikes which are affecting our production levels. We have established the capability to produce more than 1.6 million and hopefully by the end of the year, we will be close to 1.7 million barrels per day. In three to four years, we could easily boost those figures to about 2 million barrels per day. In the new phase of exploration, we are expecting additional production as a result of the anticipated discoveries. For gas, we have some shortages for feeding the local grid to supply both the electrical company and the industrial plants. Therefore we will be upgrading our current gas industry by developing some discoveries on-shore and also working with our partners to develop off-shore gas fields. We are currently determining a road map for our gas industry. Of course we have the potential for unconventional gas but right now we are going through a learning curve. It is going to take a while before we are into that market but for now we are educating ourselves and doing some internal work in order to assess our potential for shale gas. Can you speak more about shale gas? The figure that is known worldwide is that Libya has up to 290 trillion cubic feet of gas; this is mostly in the northwest of the country. As a result, shale gas is of great interest in Libya. We want to prepare ourselves and properly plan for the future. We are conducting workshops and we are going to send people to become educated in this area in order for us to be up to the proper standard for the development of this industry. One of this industry’s major problems is environmental. Some countries have tough legislation. The only place with relaxed legislation is the United States. We would also expect the new petroleum law to encompass shale gas and the environment. When do you expect the new law to be fully drafted? The new law will hopefully be fully drafted before the end of the year. The question that is on everybody’s mind is security. What in your opinion are the security issues you are facing, if any? To be completely candid, there are a few security concerns that we are working on. For example, in the southwest of Libya which is close to the border, the threat always exists although there is nothing imminent. We cannot be complacent so we are working to upgrade the Oil Installation Guard which is responsible for guarding the oil fields. We want to ensure the fields are safe and the remote locations of seismic activities and remote drilling are safe. Security is something we are very aware of and are working on. It will take a bit of time but I think we are working in the right direction in order to secure our fields and the areas where the companies work. In fact, there are a lot of companies that are starting to operate in remote areas. Some of the IOC’s are getting ready to start their exploration activities, and our national companies are also carrying out certain commitments in their respective areas. There is also some work that will be done by some of the oil companies off-shore. I have been reading about the new discovery and the potential to produce 8,000 barrels per day. With the new discovery, both wells tested about 8,000 barrels per day. There have also been some gas discoveries. Immediately after the liberation, the national company, the Arabian Gulf Oil Company (Agoco), started exploration and discovered good gas potential in the southwest of Libya. Sonatrach has also achieved some discoveries in gas and oil. All of this has happened since the liberation. Do you feel we might see more discoveries in the future? How much of the area is explored and unexplored? We definitely expect to see more discoveries. We have the Sirte Basin in the middle of the country which it could be said is extensively explored but there is still a lot of work that needs to be done. This may just require a particular expertise to look for certain targets. The southwest Murzuq Basin is a very attractive basin which has not been fully explored and as a result, that is of interest to many people. We also have off-shore areas in which we expect some gas discoveries. What would you identify as the major challenge for the industry and for the company itself? Hopefully by the end of the year, we will be close to 1.7 million barrels per day. In three to four years, we could easily boost those oil production figures to about 2 million barrels per day. We are in a transition period. During the time of the old regime, there was a lack of interest in the environment so one of our biggest issues is the environment. We have to deal with the environmental issues that right now are affecting some localities in the area in terms of a lot of produced water that is not taken care of, as well as a lot of flared gas. The other challenge is adopting a policy within two years to have a zero flare policy. We also need to upgrade our human resources. We have a good workforce; in fact, when we recovered our production within nine months it was all done by these young people. However, our workers need upgrading in order to move forward because we also expect that additional production will come from enhanced oil recovery – EOR and IOR – and this requires certain qualifications and expertise that we have to develop. We have the resources but it just needs a bit of upgrading and training. This is one of the big challenges that we have to work on. How much investment does the oil and gas sector in Libya need in your opinion? I cannot provide a specific figure but it will be tens of billions for the new investment. Refineries, for example, depending on size will cost from three billion to five billion dollars. When we get into EOR, such as CO2 injection, this requires a lot of investment and the figures could be in the billions. Within the next five years, as a guesstimate, the figures could go as high as $40 billion. Could these investments threaten the production break-even point compared to the price in the international markets and make Libya uncompetitive in production? Our operating costs are very low; the current price is about US $100 (+/_) per barrel and our operating cost is close to US $5.5 per barrel. No, we are doing quite well. Our operating costs are very low; the current price is about US $100 (+/_) per barrel and our operating cost is close to US $5.5 per barrel. Most of our projects have a payout period in months rather than years. So you can say we are still really in the youth of our development; many of our fields have not seen their true plateau and still have a lot of potential. Of course when you get into projects like applying sophisticated EOR techniques it is a big investment but it is still economically viable. Most fields will be producing for another 50 years. Let’s talk about CRS – Corporate Social Responsibility. This is a very important thing, especially for you as a major company in Libya, not only in social development but in economic development, and even in cultural development. What is the philosophy of the company regarding corporate social responsibility? In the past NOC didn’t have any specific policy or role but recently our partners in various agreements we signed had some sort of commitment to sustainable development. They have been doing some work, such as educational, health, social and archeological in certain areas, especially in areas around the producing fields and terminals. We want to continue with this policy but at the same time we would like to see NOC have a direct role in such programs. The ministry and NOC plan to train at least 12,000 or 13,000 young graduates for the next year and a half and we consider this a contribution from the oil sector to the rest of the sectors of the economy. 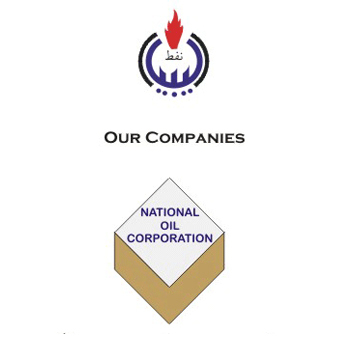 We expect NOC to play a major role in the social development and sustainable development of many areas of the country, especially for the localities, areas, and villages that are nearby the terminals and oil fields. At the same time, what about the ecological side of things? You are trying to upgrade in part so that you don’t harm the environment. During the last 50 years environmental protection was never on the agenda. The environment is a priority; it is extremely important. Of course, we also have some fields that are producing near archeological sites and for these areas, we have extensive restrictions on moving around these areas. Even on the premises of the oil field, it is very confined in order not to affect archeological sites in the southwest of Libya. There are excellent treasures there that date back thousands and thousands of years and we must pay attention to our archeological sites near the oil fields. Great attention is being paid to our operations to reduce and eventually eliminate any harm to the environment particularly near residential areas. During the last 50 years environmental protection was never on the agenda. 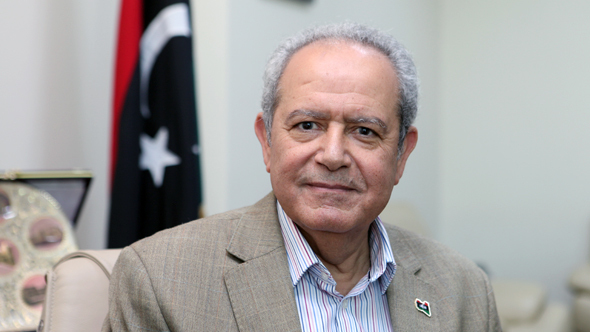 From the interview, I have the impression that Libya is on the verge of liberalization of its oil and gas industry. You will give more space to the private sector, for international companies, for mid-size and small-size service companies. Can you talk about the investment potential? The potential is there on a large scale or small scale. In fact, one thing we are considering is that we have very small fields that are now costing the company a high amount to operate. We may give them to the local or national market. There are a lot of Libyans who are interested. We could give them away to interested investors with certain programs and rules in order for the private sector to take part in operating these small fields more economically. We also have some other small brown fields that need upgrading that require certain technologies. We may offer this for those who are qualified in order to add value, and increase reserves and production of these brown fields. We are working on and studying all of these ideas. We would like to see private investors, especially in the downstream areas, playing a major role in this industry. For the first time, we have been operating differently from the past. NOC has greater independence, unlike in the past under the old regime when the government would interfere with the industry and make dictates that are not conducive to a good business environment. This is all gone. We have an excellent business environment that encourages investors to operate and we can establish good dialogue. We are talking to the IOCs as true partners and I think we will see more of that. I think there is great potential in the oil sector for the development of the Libyan industry. When I told you that Libya would be producing oil for 50 years, I really meant that. We will have to develop this but we do have the resources. In our existing fields, the recovery factor for our reservoirs is very low, while our fields have a lot of potential. We could enhance our recovery and add a lot of production and reserves from the existing potential, not including the production and reserves that will come from exploration.